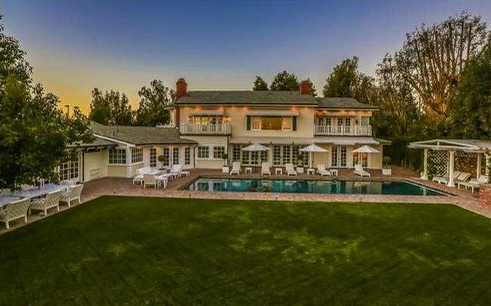 The home, located at 3130 Antelo Road in Bel Air has a long list of A-list owners. Farrah Fawcett and Ryan O’Neal called the place home until the 1999, when they sold the property for $2.7 million to music engineer/producer Allen Sides. In 2008, it hit the market again for $9.5 million - Mariah & Nick paid $7 million, shortly after their 2007 marriage. 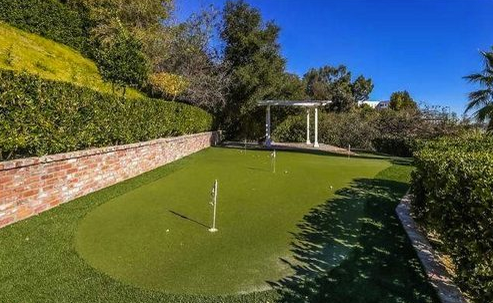 The Bel Air estate sits on 3 acres, with sprawling views of the city. 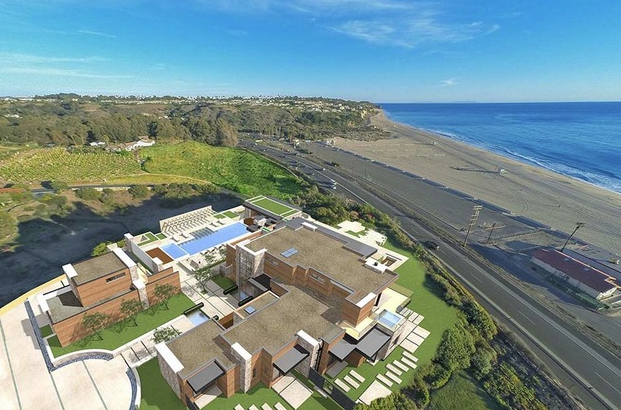 The 6 bed, 7 bath 13,000-square foot home features a movie theater, gym, music studio, putting green, and basketball court, wide views of Beverly Hills and as far south as Laguna Beach, an infinity pool monogrammed with "MCN", a library and gym. There is also a dressing room with 1980s-style decor, including a mirror and wardrobe, that Fawcett used as her make-up room. Divorcing duo Mariah Carey and Nick Cannon originally listed the estate had been listed for $12.995 million. The buyers are Rudy and Niki Rezzadeh, a New York City-based doctor, who has relocated to the West Coast. Approved plans for Signature Zuma Bluffs modern by Doug Burdge, AIA. Supreme private bookend bluff site with approximately 230 feet of frontage overlooking Zuma Beach. Projected home will take in exhilarating views of immeasurable beauty from a multitude of vantage points. Floor plan accentuates intimacy while having the capacity to entertain as many as 300 guests. 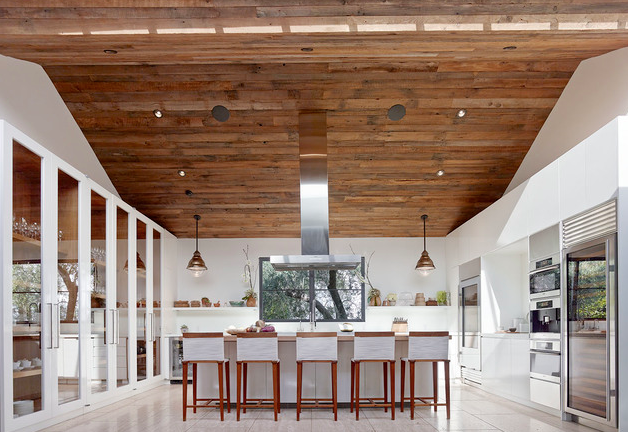 Design elements diffuse the separation of what is indoors and outdoors, exuding the coastal Malibu modern lifestyle. Complete with service kitchen, detached guest house, auto collector's garage and a detached gym overlooking Zuma Beach out of over the grand Pacific Ocean. 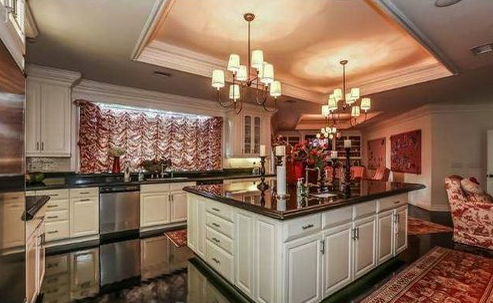 The pictures say it all with this exceptional architectural estate in Beverly Hills. Globally published for achievement in design and architecture including Architectural Digest. This custom built home is on one of the most desired streets in the flats and has the highest quality of surfaces and finishes. Materials consist of barn wood from Pennsylvania, red/white oak reclaimed wood floors, travertine, marble, Heath Ceramics tile, etc. The home has massive volume and exudes a warmth rarely seen in Contemporary homes. Gated and private with a ground floor master suite, two solar heated pools, radiant heated floors throughout almost the entire home, and incredibly light and bright. Newly constructed in 2015 - Ecumena Design. 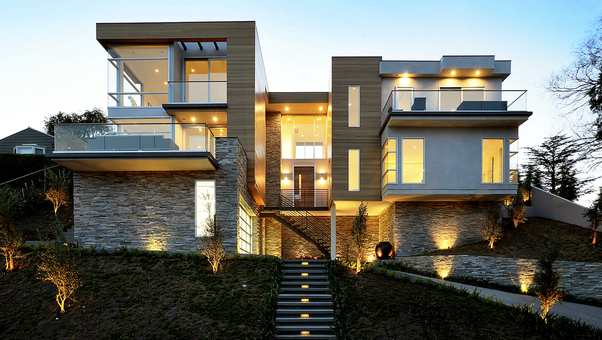 Architectural with panoramic views. A harmony of modern style & cutting edge design. Expansive open floor plan has ±10 ft high ceilings, walls of glass & Sliding glass pocket doors that fill the rooms with sunshine & lake breezes. Generously proportioned Living room, dining area, kitchen & family/media areas all flow easily from indoor to outdoors. Beautifully appointed with Wide plank walnut wood floors, chipped glass fireplace, surround sound, nest control system network, & chrome & steel fixtures throughout. 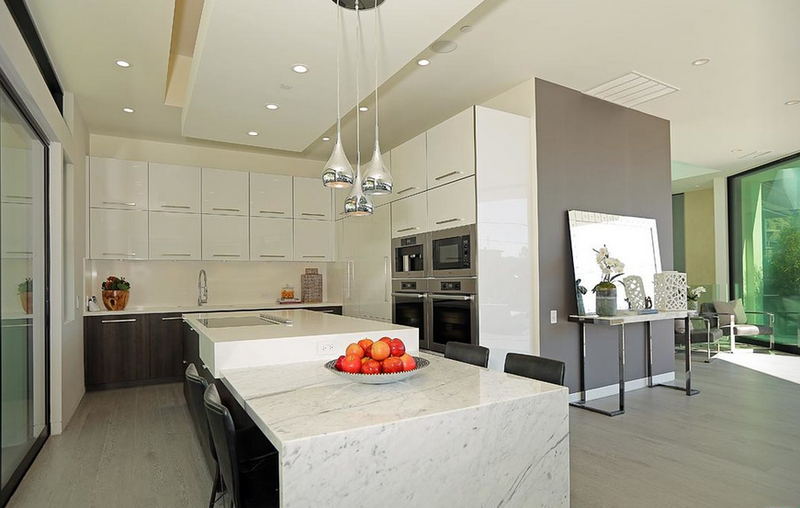 Showcase Kitchen is a study in whites: Caesar stone counters, Italian lacquer cabinets, Miele appls. Center island with large breakfast bar opens to spacious family/media room. Venture out to the private pool, spa & patio areas with chipped glass firepit. Three spacious bedrooms & Master suite with luxe spa bath with Porcelanosa tile, sep shower & stand alone tub, & view balcony. Address: 350 N Carolwood, Holmby Hills "Fleur de Lys"
Built in 2002, three separate parcels of land were combine to create a site suitable for this palace, modeled after Louis XIV’s Versailles. 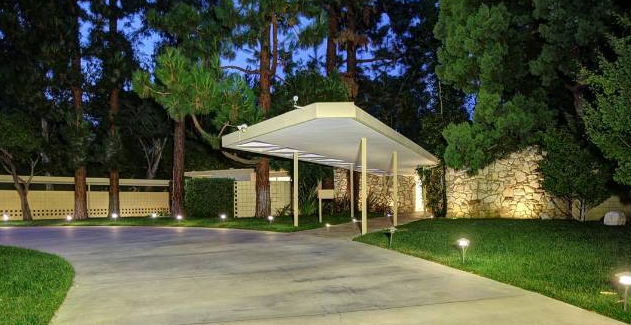 Reportedly sold for ALL CASH, you can read more about it and see pictures on Curbed LA. Persson has said to have outbid Jay-Z and Beyoncé for the home, and has been rumored to have bought everything in the house along with the purchase, including a $130,000 candy wall that cost $130,000 stocked with $70,000 of jelly beans, chocolates and other sweets, three flat-screen televisions above a bar show panoramic views from rooftop cameras. and a car showroom displays a two-tone blue Bugatti Veyron, black Spyker supercar and a 2015 Rolls-Royce Phantom, (not included in the asking price). 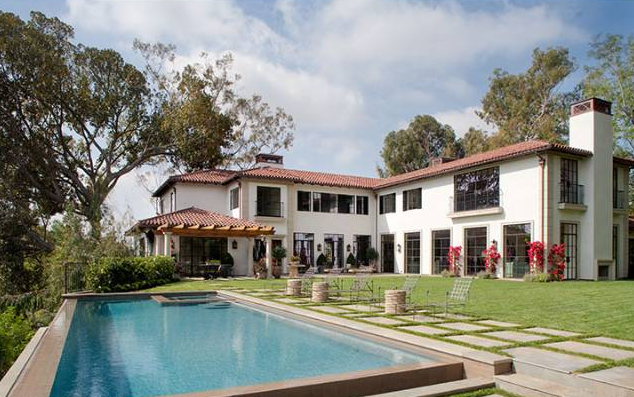 Makowsky and his wife paid just under $12 million for the Trousdale Estates home in 2012. Rare 5+ acre double lot in Beverly Park redesigned and rebuilt by Richard Landry in 2008. 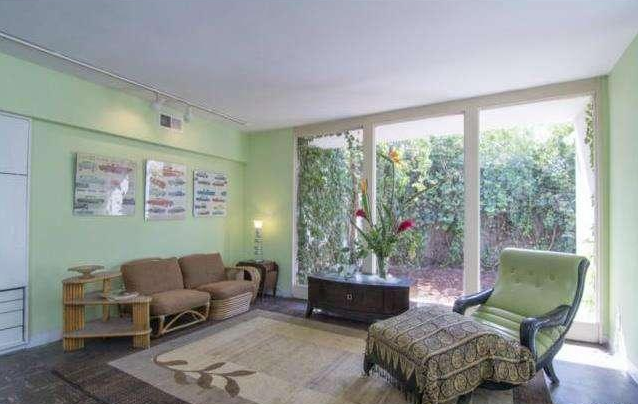 Property features two guest house, a tennis court, 3 offices and parking for 30+ cars. Read more details about the original listing and see details on the property here. Inspired by a dream team of home visionaries, developed by Richard Papalian and designed by Michael Palumbo in collaboration with architect Marc Whipple (and cabinetry design by Brownlow + Chen), this is a stunning masterpiece of a home. You can probably imagine the trickery involved with building and designing a home like this - some of our favorite features are the PGA inspired putting green, a 14-foot tall wood pivot front door, a glass garage, gym with a bar, a guest house accessible by a solid glass staircase, and of course, the "moat". The final in a four-part series chronically the most expensive real estate homes sales in Los Angeles for 2014. 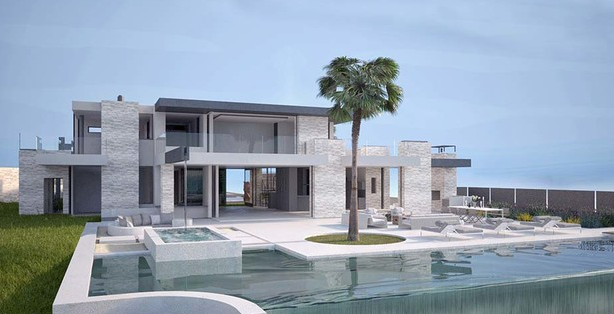 The fourth quarter did not see as many celebrity real estate transactions as the third quarter did, but it did see some of the biggest sales of the year, including the $70 million dollar purchase made by Swedish Minecraft creator Markus Persson. You can also check out the sales for the first quarter and the second quarter, but once again top sales this quarter prove that real estate is alive and well in Malibu, Bel-Air and Beverly Hills. 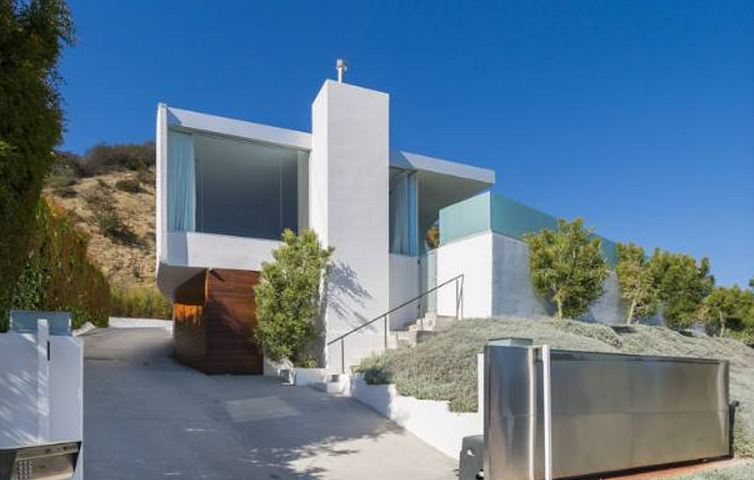 On the sand at prestigious Carbon Beach with an exceptional 147 feet of ocean frontage & beach access, designed in 2005 by Malibu architect Lester Tobias. 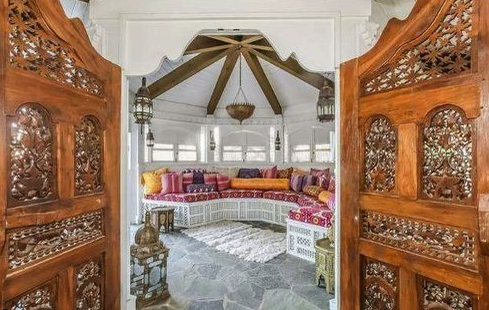 Touted as a "castle on the beach"in “Billionaire’s Beach”, the seller has been trying to unload the home for years, once asking close to $65 million. Last year the house was listed for close to $38 million. Italian Villa perched on an aprox. 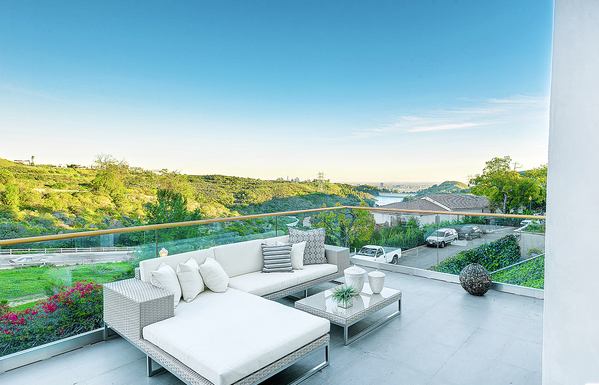 1.24 acre knoll on one of the most desirable & exclusive streets in Beverly Hills. Originally built in 1926, this magnificent estate has been impeccably restored to seamlessly combine modern conveniences with the old world elegance of a grand Italian Villa. rooms/features include ballroom, music room, tea room/solarium, movie theater, wine vault, billiards room, media room, art studio, elevator, outdoor kitchen, loggia, cabana, sport court. 2-story full guesthouse with huge gym. Pictures available here. Traditional tennis court estate with guesthouse in lower Bel Air. Sited on approximately 1.5 acres of manicured gardens reminiscent of the finest East Coast homes, rolling lawns with Hampton's style swimmer's pool and spa, lighted tennis court and guesthouse. On and off the market since 2011, offering Panoramic Views of the Bel Air Country Club. On prestigious "Lower Perugia Way" one of only 12 homes that front the golf course. Set behind gates on a generous lot, the grounds offer a motor court w/ ample parking, tropical waterfall, koi pond, glamorous pool with spa, and a putting green. Plans for 16,000 sqft home with permits pulled, fully entitled & ready to break ground 11/2014. The height of the house will be 14 feet maximum with 4 parking spaces. Similar development residences located within close vicinity to this property have sold for over $3000 a sqft. In addition, the existing nonconforming permitted conditions will enable the construction of a walkout, daylighted lower level as well as a real infinity edge swimming pool spilling into an uncompromising and unobstructed head on Ocean/Century City views. Designed by Vantage Design Group. Highest cost per foot this quarter at close to $6000 a foot. Panoramic Ocean Views from this original mid-century post and beam, which has been lovingly enhanced for today's lifestyle. Located on Paradise Cove, this estate can be enjoyed "as is" or build your dream retreat on this breathtaking property, swimming pool, two guest houses, path to beach, lush lawns and gardens with mature trees. 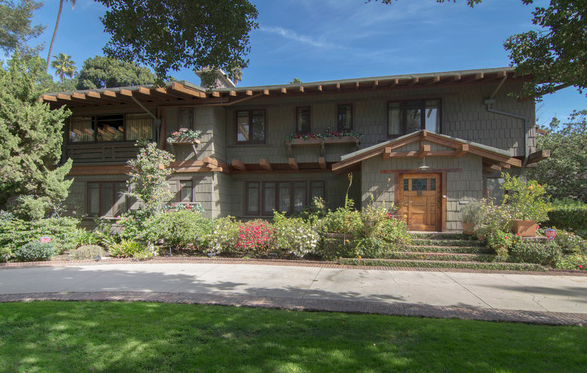 A magnificent Craftsman-style estate by architect brothers Charles & Henry Greene (creators of the famed Gamble House). Beautifully maintained and situated in a privileged, park-like setting north of Sunset Boulevard. Extraordinary public rooms with original detailing. Charming carriage house with spacious guest quarters above. Luxuriously large pool. Celebrity resident pedigree. Landmark No. 14 on the City of Beverly Hills Local Registry of Historic Properties. Alterations, additions, and modifications are allowed in accordance with guidelines provided in "The Secretary of the Interiors Standards for the Rehabilitation of Historic Buildings." This highly coveted A. Quincy Jones Mid Century Architectural Estate is situated one of the most coveted lots in Beverly Hills just North of Sunset. Featuring 1.2 acres of land and a street-to street lot, this "homage to modern architecture" has been meticulously restored to maintain the architect's original vision and style. 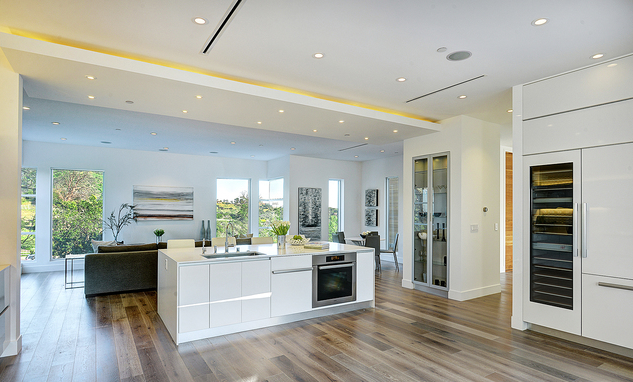 The gracious, open plan features expansive living, dining, and entertainment areas. 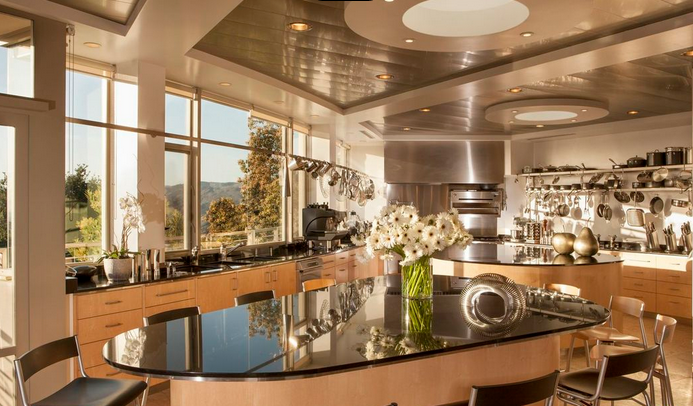 Gourmet top-of-the-line chef's kitchen with butler's pantry and signature designer details. Luxurious master suite with fireplace, relaxation room and spa-like bath. With walls of glass, this estate is a striking example of Mid-Century modern architecture, showcasing the landscaped park-like grounds with a N/S Tennis Court, sunny swimmers' pool and alfresco dining patios perfect for entertaining and enjoying the Southern California lifestyle just minutes from the best shopping, dining, and entertainment venues in Beverly Hills. Part Three in a series chronically the most expensive real estate homes sales in Los Angeles for 2014. The third quarter saw several celebrity real estate transactions from the likes of Bruce Willis, Lady Gaga and Heidi Klum. You can also check out the sales for the first quarter and the second quarter, top sales this quarter prove that real estate is alive and well in Malibu, Bel Air, Brentwood, The Sunset Strip and Pacific Palisades and Beverly Hills. 24 hr guard gated entrance, 8.4 acres approx. 3 acres flat, the grounds are beyond spectacular. 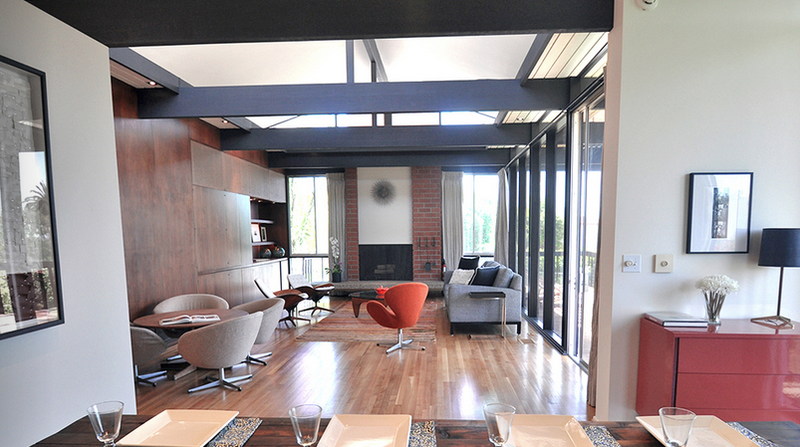 Check out more details on the estate on CurbedLA. A rare drive-on estate in the Sunset Strip llocated just seconds from the famed boulevard's array of world-class restaurants, shopping and nightlife. A Hagy Belzberg (Museum of the Holocaust, Patina at Disney Concert Hall) designed compound, a resort-like sanctuary where three distinct structures - a Main Residence, Wellness Center and Guest House. 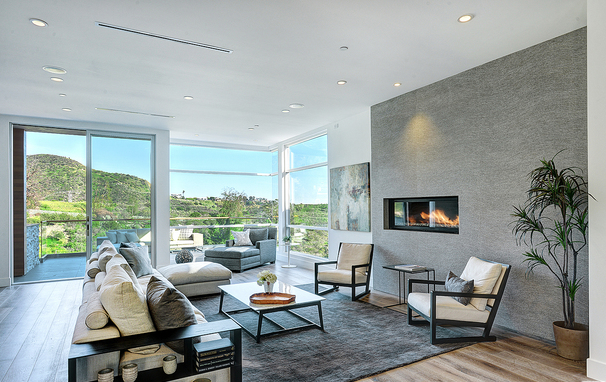 Architecturally inspiring, in both appearance and function, 1232 Sunset Plaza radiates a warm, California modern allure draped in sophistication. Interior finishes and design by Erinn Valencich. 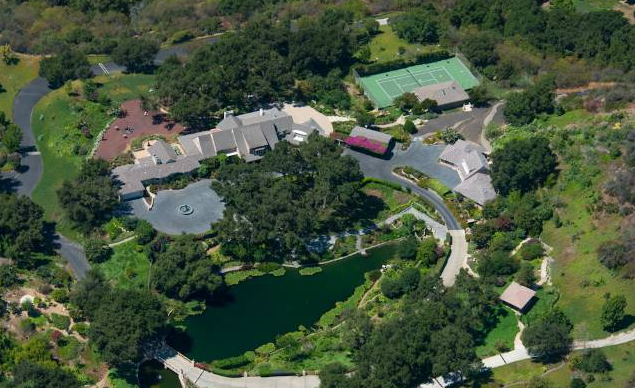 Seller: Dan Romanelli, the founder of the consumer-products division at Warner Bros.
Scenic, gated 6-acre property right across from Zuma Beach in Malibu. 5 bed, 7 bath estate offering unfettered ocean views, exquisite amenities throughout and an unbeatable indoor/outdoor coastal lifestyle. Rooms tastefully appointed by celebrated designer Madeline Stuart. Glassed-in breezeway leads to master office with attached gym and elevator. 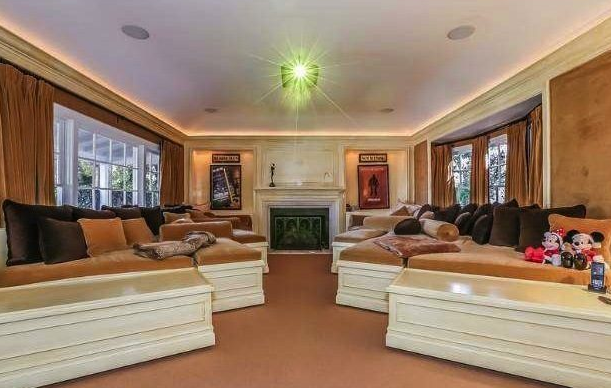 Lower level: 800-bottle wine cellar, home theater, wet bar, and 1960s-era, 2-lane Brunswick bowling alley. Saltwater infinity pool/Jacuzzi with ocean views, bocce ball court, outdoor sitting & dining areas, dressage ring, 8-horse stables, guest cottage. Mountain views on one side, ocean views on the other - a truly special California coastal estate. Sold for $5 milion over the asking price. 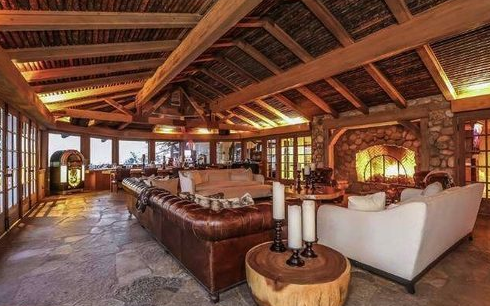 Extremely rare offering on one of the deepest and sandiest parts of Malibu's famous Colony Beach. The extremely sought-after Colony Beach offers easy in-and-out access on Malibu Road walking distance to Cross Creek, the Malibu Country Mart, and the Village. For more details, view the listing on Trulia. Prime lower Bel Air, a grand Mediterranean villa featuring incredible scale, quality, and craftsmanship. Behind iron gates and up a long private driveway that leads to a large motor court. Designed by one of the top architects in the country with beautiful finishes and imported materials throughout. Very light, bright and open, steel doors and windows open to incredible grounds, impressive lawns, infinity pool overlooking Bel Air County Club & beautiful views. Brentwood Traditional estate. 1.79 lushly landscaped acres in highly desirable lower Mandeville Canyon. Main house is well over 9,000 sf plus a dramatic separate structure (1,500 sf) which contains a professional theater plus baths and changing rooms for swimming pool and tennis court and a separate soccer sized field on pathway above. Newly built in 2005 and designed by architect William Hefner. 1928 Hacienda in the heart of Beverly Hills. Walled and gated, tennis court estate, old world charm with all the modern conveniences. 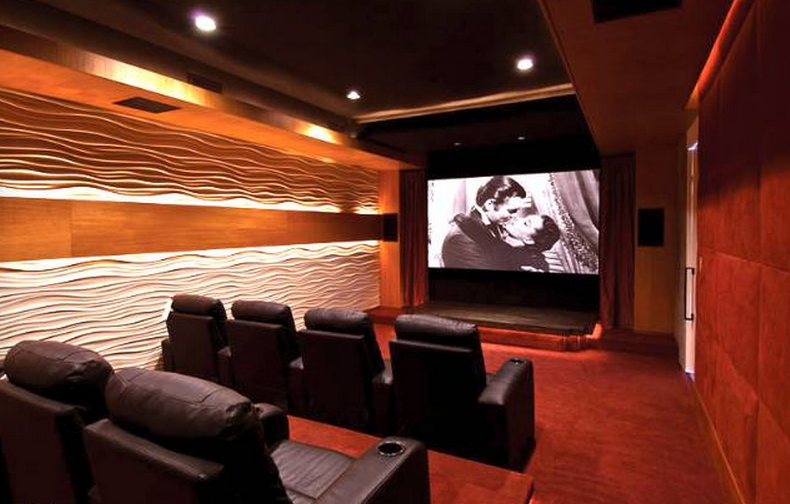 State of the art screening room, lush landscaped grounds and inner courtyard, on nearly one acre flat lot. Seller: Glorya Kaufman, the philanthropist and widow of Donald Kaufman, of the KB home empire. Finally sold at Auction. Originally $40M. Tranquility and luxury on 48 acres at Amber Hills, one of the most exclusive luxury compounds to ever come on the market in Brentwood. 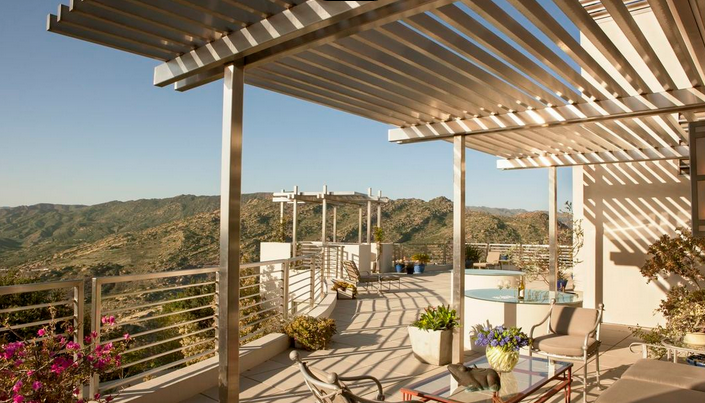 Located in magnificent Mandeville Canyon, enveloped by the stunning Santa Monica Mountains. 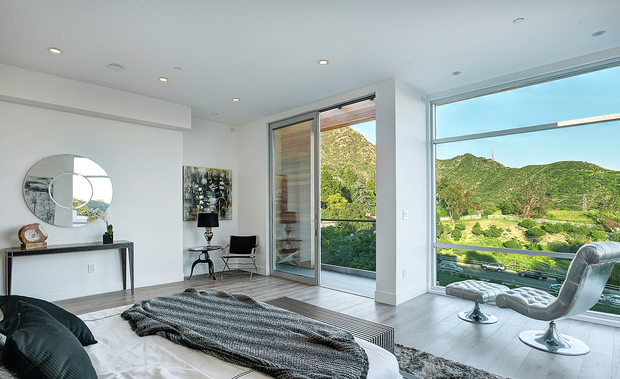 Recently completed on 1.36 acres with views over Santa Monica Canyon and the shimmering ocean. 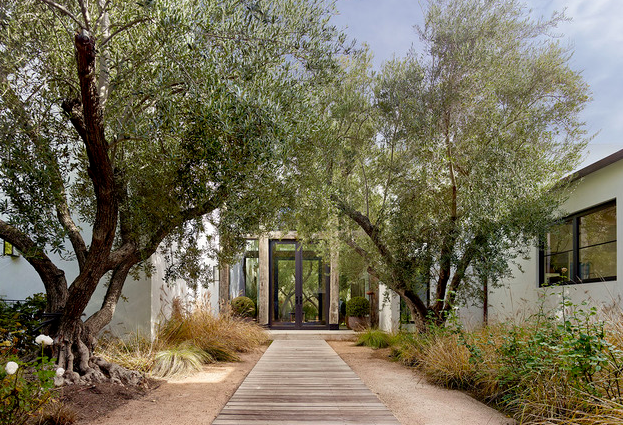 Conceived by Richard Keating and brought to life by residential architect Steven Giannetti, this great estate draws comparisons to the Getty Center in its construction. Interiors of the residence echo a museum ambiance, with ceilings soaring to 26 feet, galleries with 8-foot wide hallways. More details and photos courtesy of CurbedLA. This meticulously renovated Brentwood estate designed by architect M. Brian Tichenor and renowned designer, Kelly Wearstler, is nothing short of impeccable. Set behind large gates in a private setting, this compound sits on over ¾ of an acre and boasts over 11,100 square feet of living space. French doors throughout the estate open to several different courtyards, a formal garden, and a swimmers pool with a cabana & pool bath. The first floor features a large chef's kitchen, pristine living and family rooms, an exquisite dining room, formal office, and guest suite. Incredible details continue to the upper level boasting three additional en-suite bedrooms and a master suite including his and her baths, a sitting room and library. Full guest house providing any long-term guests with all they need. Apart from the main house is a professional digital theater, full gym with bath, and the exquisite grounds all complete this trophy property. 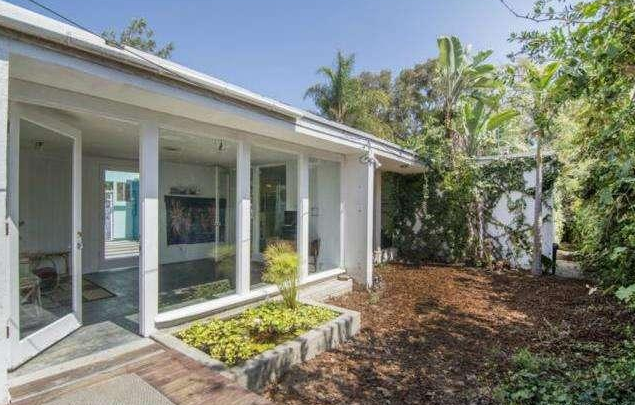 Mid-century modern home designed by architect Gregory Ain, one of 52 "Modernique" homes that Ain built in 1948, known as the Ain Mar Vista Tract. This property is protected by the Historic Preservation Overlay Zone (HPOZ), which means that the neighborhood will retain its mid-century character in perpetuity. Floor to ceiling windows in almost every room specifically designed to create an indoor/outdoor feel. Open floor plan with beamed ceilings, kitchen with built-in breakfast area opening to living room. 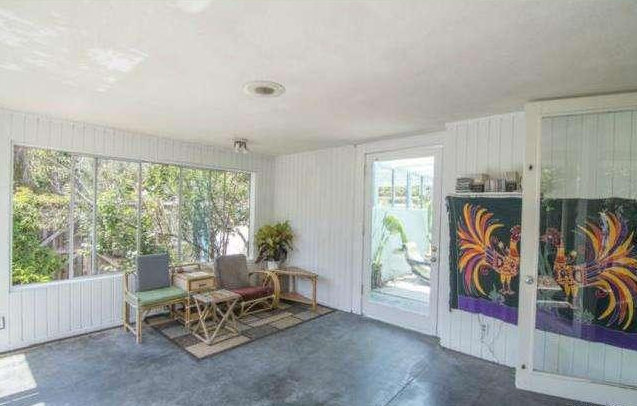 Family room with cement flooring leads to enchanting walled patio. Master bedroom has charming, private brick patio - third + fourth bedrooms can be kept separate, or can be combined to make one larger room. 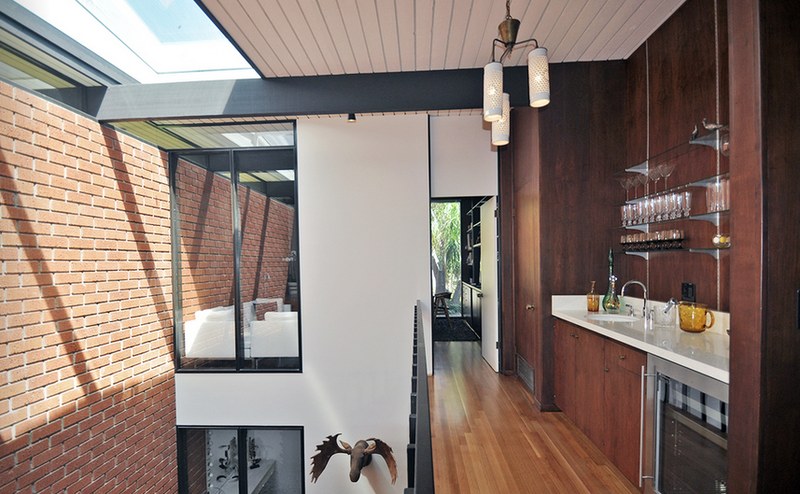 Authentic detailing throughout the house includes clerestory windows, built-ins + multiple skylights. and a small coy pond filled w/lilies. 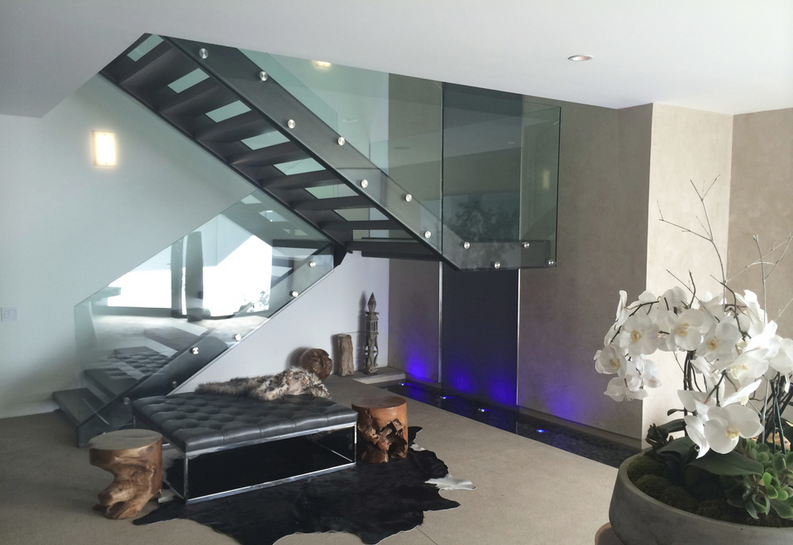 Modern masterpiece developed by Barry Chase & Interior design by Linda Dahan of CMF Builders. 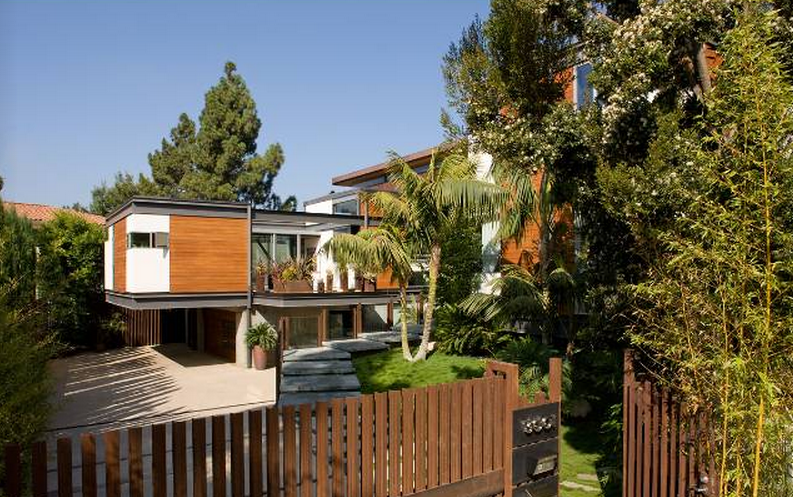 This home embodies the defintion of Hollywood Hills real estate and is an entertainer's dream home. State of the art Chef's Kitchen, private screening room, elevator, 20 foot skylights, pivot doors and a master suite that will remnd you of the finest 5-star hotel, with Calcutta Marble, oversized steam shower, floating ceiling above lrg spa tub. Third level open floor plan allows you to enjoy views of the city to the ocean. 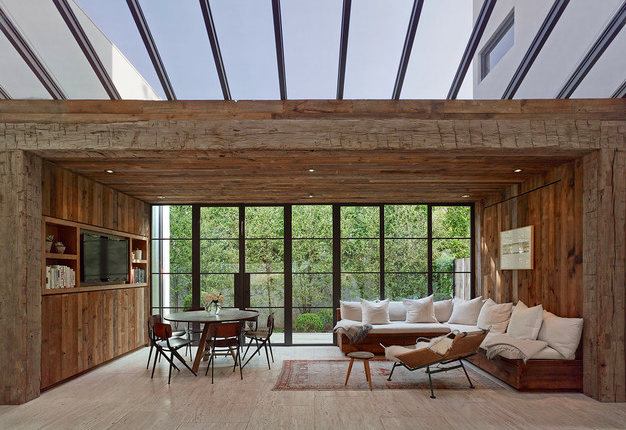 10 foot glass doors open and extend the living room onto 800 sq.ft. deck with outdoor fire feature, rooftop pool & deck. Adjacent lot for sale at an additional $500,000. We love Trousdale Estates with it's proximity to everything, and it's great mid-century modern architecture and big lots, many with great views. According to our sources, 47 of the 410 homes in Trousdale Estates are back under construction after recently being shut down (due to two officers were killed by construction related trucks), and most of them will come back on the market OVER $10 Million. 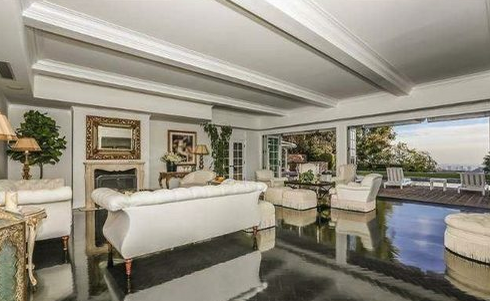 For now, here's the real estate you can get UNDER $10 million in Trousdale Estates. Mid Century Modern Architecture in it's orginal state circa 1961 - ready for a remodel Great views. 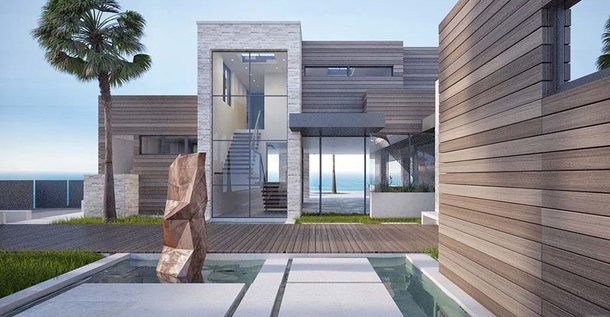 Gated contemporary architectural with ocean and city views. 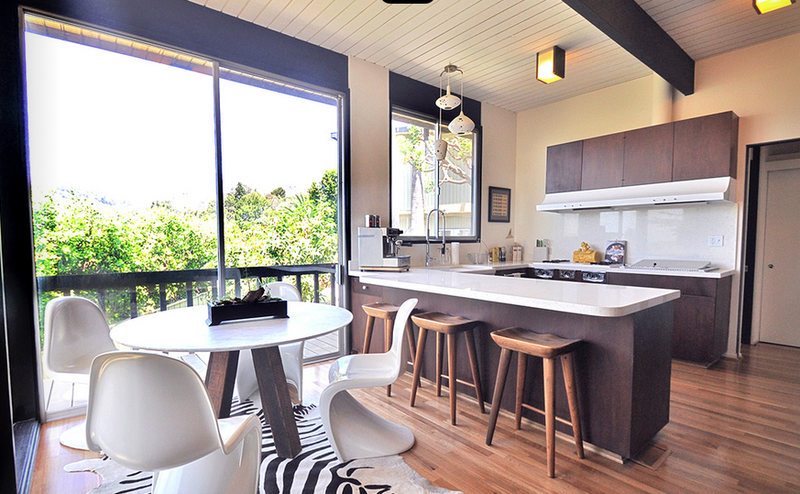 Floor plan reflects the traditional California Lifestyle of the 60's with a modern influence. 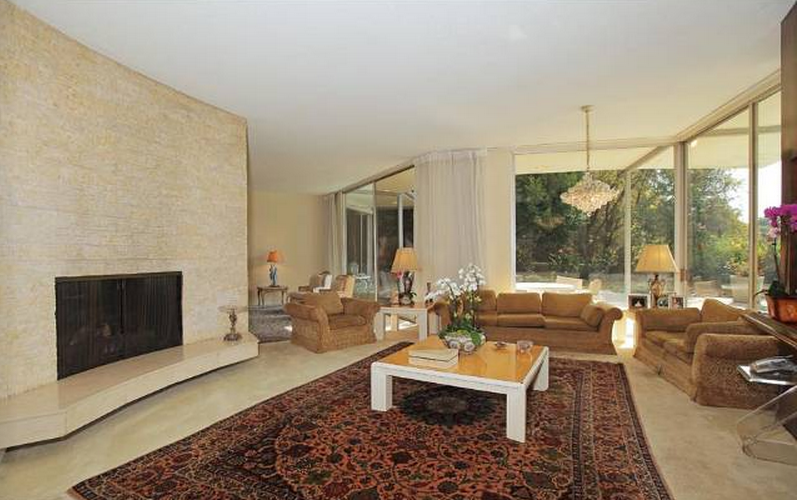 Walled and gated and meticulously restored mid-century modernist retreat on an acre of land. A fusion of timeless elegance and modern amenities..
Gorgeously renovated single story home canyon views. Separate den/office, impressive curb appeal. 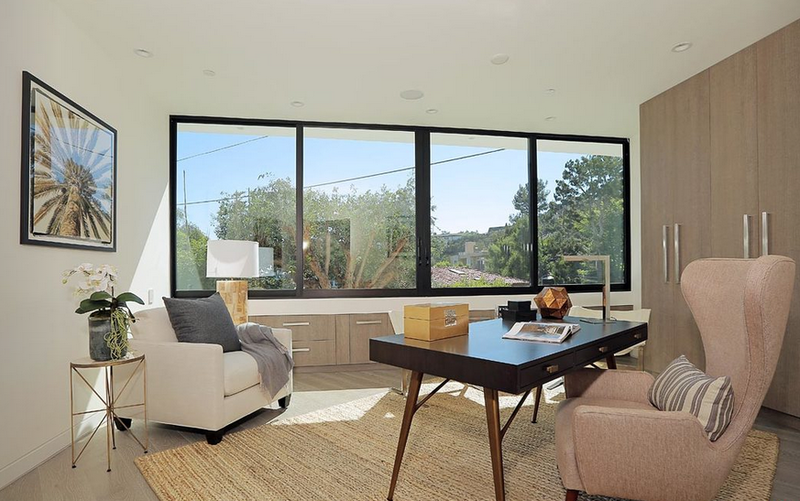 Completely renovated with explosive city to ocean views, tucked away on one of the best streets in Trousdale, known for its privacy. On the market for the first time in almost 20 years, this estate sits on almost 1/2 acre of land on one of the most prestigious streets in the flats of Beverly Hills. Features include a tennis court, pool, spa, and guest house with private entrance. Corner double lot with lush landscape and mature trees around the entire property make this a very private estate. 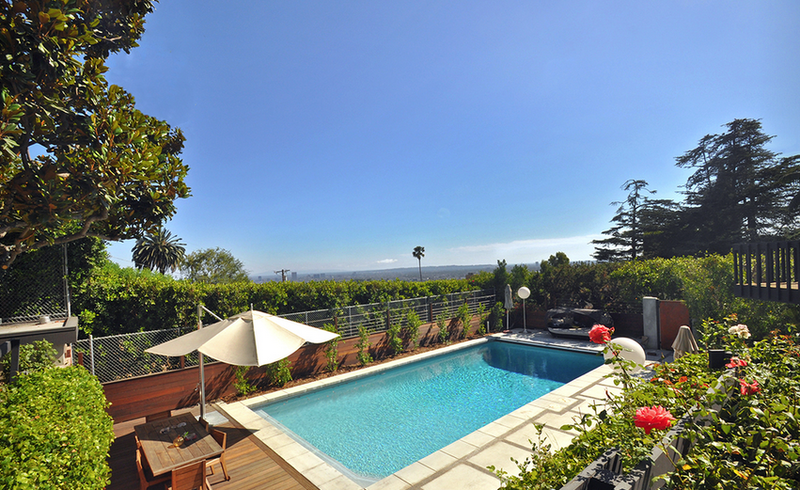 Minutes from Beverly Hills and Rodeo Drive. Contact me directly for more details or a private showing. The best of Hollywood Hills real estate runs the gamut from classic spanish haciendas, to mid-centiry moderns, to stunning architectural masterpieces. 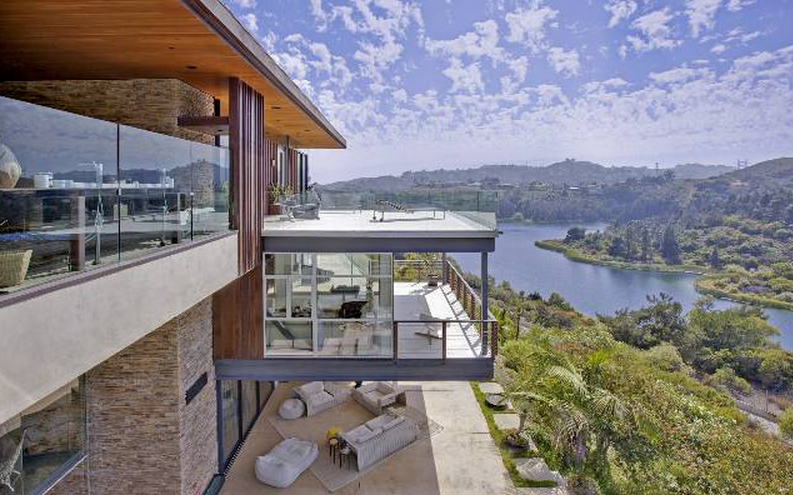 This archtiectural glass-clad modern home, built in 2007 has tremendous scale, high ceilings and walls of glass which create an absolute entertainers dream, with breathtaking views of the Hollywood Reservoir and the Hollywood sign from all three of it's stories. The home features a state of the art kitchen, massage room and a home theatre. 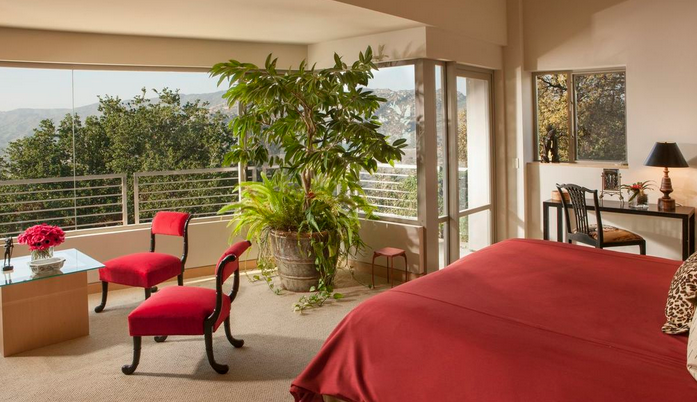 Large master suite with an outdoor living room and patio all with spectacular views of Lake Hollywood. Outdoors you'll find an infiniy pool and spa, built in bbq area, wrap around fire pit and a zen rock garden. A den, gym, a sauna, a wine cellar, an elevator, five bedrooms and eight bathrooms are within the 9,385 square feet of living space. Walled and gated on 1/2 an acre. Simi Valley is generally not know as the mecca of Los Angeles real estate. This estate might be a tad far from the city (about 30 minutes to the westside), but where else can you get 130+ acres of land anymore? Powerful and dramatic, award winning architecture as a residential sculpture, masterfully designed by David C. Martin, AIA, top architecture at A.C. Martin Partners, a prolific and award winning architectural firm known for their modern structures of steel and glass. Punctuated by an iconic California landscape, massive rock formations and lyrical waterfalls, this exquisite residence will disarm even the most ardent traditionalist. 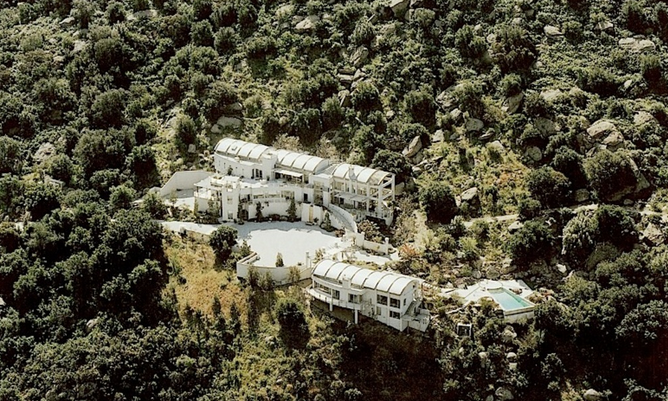 More than 12,000 square feet of steel and glass, 6 bedrooms, 10 bathrooms including a lavish master suite, incomparable double island chef's kitchen, light filled public rooms, broad stone terraces, 2 bedroom self-contained guesthouse, infinity edge swimming pool, meditation gardens, panoramic mountain and valley views. Modern luxury in a magical setting - A rare and remarkable offering in today's world of luxury real estate. Trousdale Estates is a 410-acre enclave of luxurious, mostly single-story homes in Beverly Hills. Developed in the 1950s and 60s, Trousdale Estates has always been famous for its concentration of celebrity residents and the unrestrained extravagance of its modern architecture. 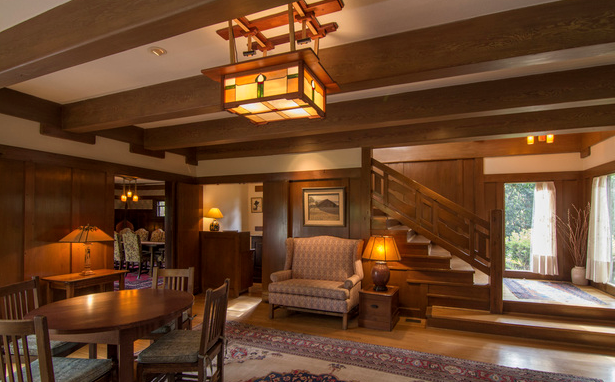 Early houses have been designed by renowned architects Wallace Neff, Paul Williams, A. Quincy Jones, Frank Lloyd Wright, Harold Levitt and Ed Fickett. Celebrity residents have included the likes of Elvis Presley, Frank Sinatra, Dean Martin, Ray Charles, and Groucho Marx. More recently, Ellen Degeneres, Jennifer Aniston, David Spade, Vera Wang have lived in the neighborhood. 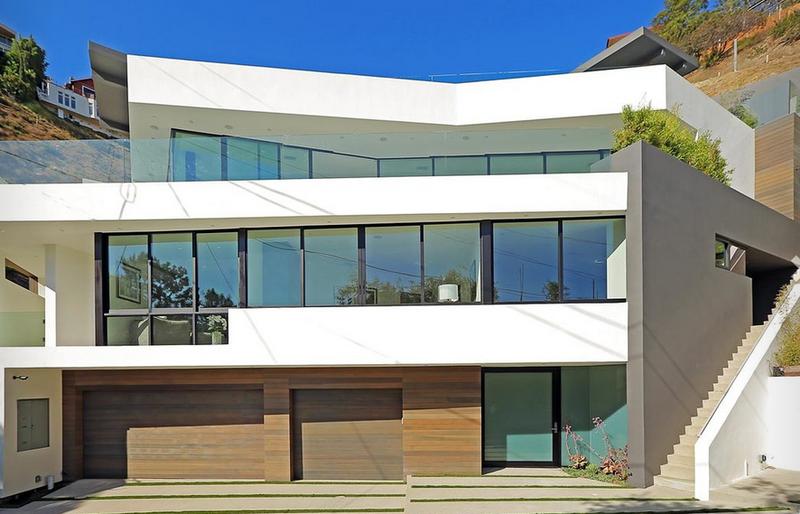 Sold in August 2012 for $4,300,000 and meticulously designed for a modern lifestyle. Originally built i 1964, a Mid-Century Modern Architecture vibe is maintained in this luxury estate in Trousdale Estates, the most elite area of Beverly Hills. 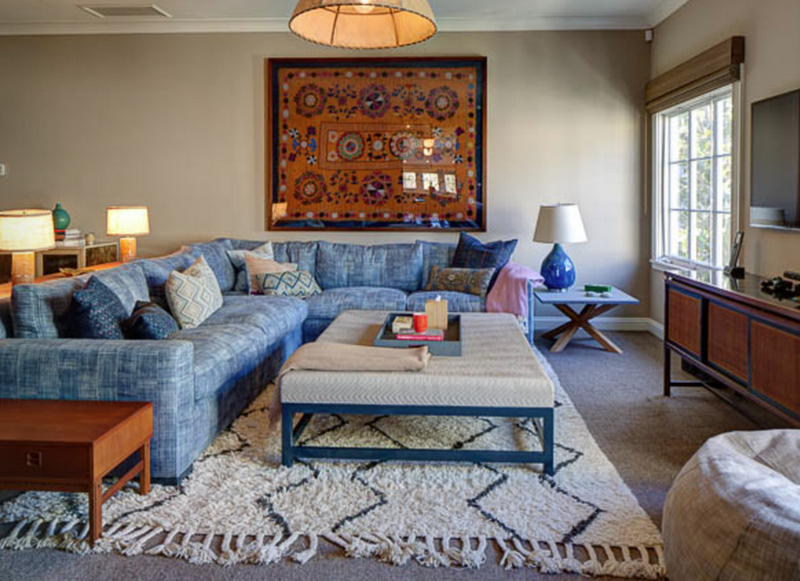 Built by top contractor, Gordon Gibson., in true Mid-Century Modern tradition, open spaces and clean lines throughout seamlessly integrate the interior and exterior, offering the ultimate California lifestyle. Located on one of Trousdale's best hidden streets, the home offers spectacular city and ocean views from nearly every room. Private and gated, and equipped with state of the art automation that creates a lifestyle of effortless functionality and security. 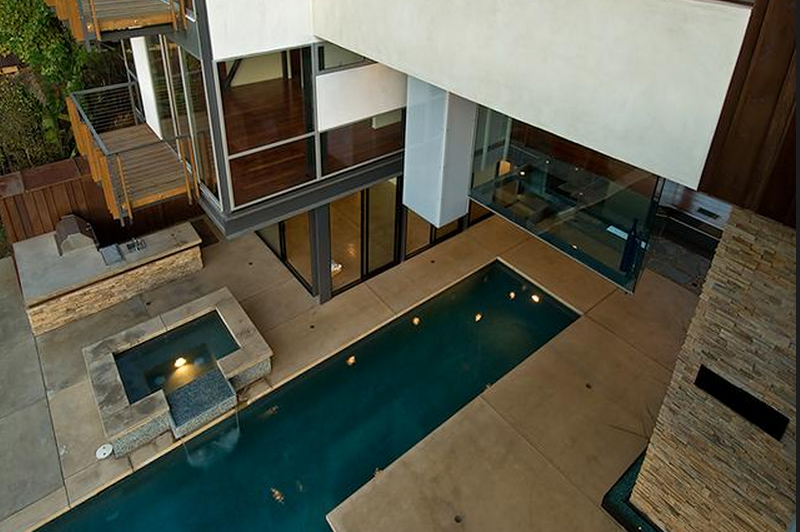 From frameless glass garage doors to Calcutta gold kitchen counters and backsplash, Fleetwood Doors, a spa that floats inside the zero-edge pool, this Trousdale Estates home is a masterpiece of sophistication and design. Frank Gehry's famed architectural compound in Brentwood. Luxury homes like this don't come along very often: The Schnabel House, circa 1989 has been noted as one of the 20 greatest houses of the 20th century. Frank Gehry's California architectural piece of history has been lovingly restored by Film producer Michael LaFetra, known for his prolific restorations of architecturally significant Southern California homes has owned designs by masters like John Lautner, Richard Neutra, and Rudolph Schindler. Upon entering, one is engulfed in architectural splendor as well as a thoughtful and intentional layout and design. Several gardens, pools and structures form a compound that functions as an irreplaceable piece of Architectural history. Gehry has said "This is the design I had fantasized about for my own house." It is not often that an opportunity like this becomes available. 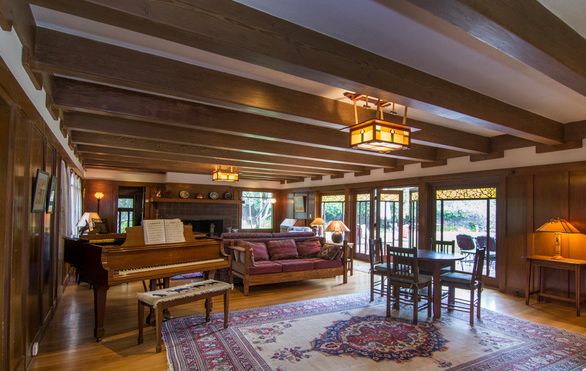 New to Market in Los Feliz - Edward Fickett Masterpiece "The Jacobsen Residence"
"The Jacobson Residence" Circa 1966 home a post and beam architectural masterpiece, by architect Edward Fickett. This s the first contemporary structure to receive Landmark Status by the City of Los Angeles: Historical Cultural Monument 674. Very private on a 13,000+ lot with nurtured native California landscaping, landmark views, and swimmer's pool, this estate embodies the distinguishing characteristics of Fickett's work; custom designed light fixtures, clerestory windows, room partitions, walnut paneling, built-in amenities, aggregate stone paving, large wrap-around decks and interior atrium positioned to allow soft light into areas of the home. Separate guest/office quarters and newer period kitchen and baths, efficient solar panels and improved skylight serve today's lifestyle with deserving upgrades. 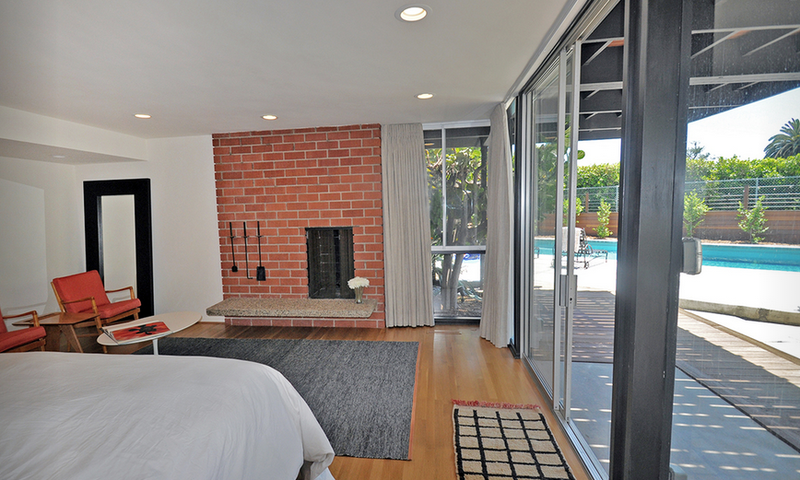 Sited on perhaps the finest architectural street in prime Los Feliz - call me for a private showing.